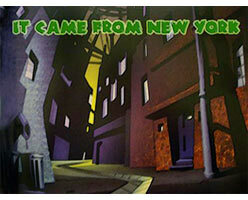 Spend just one day in the Big Apple and you’ll come away with at least one story. So imagine the tales the locals have to tell! 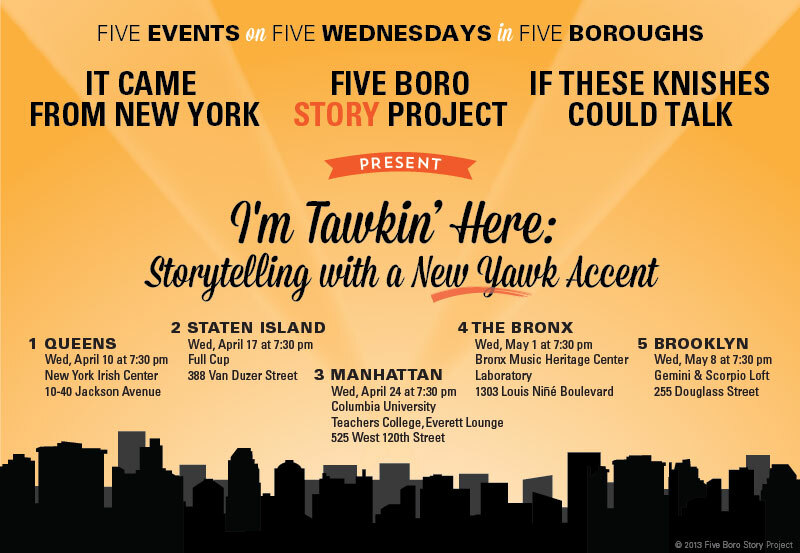 Marking the launch of the Five Boro Story Project, “I’m Tawkin’ Here: Storytelling with a New Yawk Accent” is a citywide celebration of all that is New York in story, music and film. “I’m Tawkin’ Here” traveled through the boroughs on five consecutive Wednesdays, from April 10th through May 8th, 2013, promoting the culture of each borough: the history, the stories, and the accents. 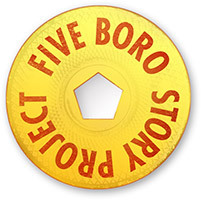 Each event featured a musical ode to the borough and true stories from “Natives” and “Transplants” — two groups that live in the same city but often know little about each other. 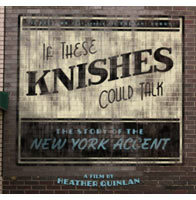 The evenings concluded with a sneak peek of “If These Knishes Could Talk,” the definitive documentary on the New York accent, which has been featured in the WSJ, NPR, NBC, CBS and NY1. Although New Yorkers are known as straight shooters, “I’m Tawkin’ Here” offered a chance to wax poetic about our boroughs. The series brought New Yorkers together for five nights of great storytelling, music and film that prove our bridges and tunnels (and ferries) are more than mere methods of escape, but are in fact connectors of culture. Events take place on five consecutive Wednesdays, beginning at 7:30pm.